The three-time AL West Champions are positioning themselves to make a run at the American League title. The Mariners composed a strong roster of young and experienced MLB stars that are determined to finally make a playoff appearance again. The Mariners will look to beat out the Oakland Athletics and the Los Angeles Angels of Anaheim to reclaim the division title. It has been 16 years since the Mariners last made the playoffs, will 2018 be their year to break the streak? Grab your 2018 Seattle Mariners Tickets and head over to Safeco Field to be a part of your team's playoff push. The Seattle Mariners fans will be hoping that their team performs to its potential. The Mariners have failed to make it to the playoffs since 2001, but they showed some promise in 2016. The Mariners recorded their second winning season in three years and went all the way to the second position in the AL West with an 86-76 record. 2017 was not as victorious. The Mariners ended the season 3rd in the AL West Division with a record of 78-84. The Double-1995 ALDS - The 1995 season will be remembered by the Seattle Mariners forever and rightly so. The Mariners were up against the New York Yankees on October 8, 1995, in Game 5 of the ALDS with the series tied at two games apiece. The game took place at the Kingdome and the Yankees got their noses in front 5-4 in the top of the eleventh. Then in the bottom of the eleventh, the Mariners had Ken Griffey, Jr. on first base and Joey Cora on third when Edgar Martinez stepped up to the plate. Martinez then smashed a double hit that is known as The Double by the Mariners fans now, to help his team to a 6-5 win. It remains the single greatest moment in the franchise’s history. 8 in 8 For Ken Griffey, Jr.- On July 28, 1993, at the Kingdome, Ken Griffey Jr. helped himself to another record. Entering the game, he had the chance to hit his eighth homerun in as many games. Only two players in history had done that prior to that game. The Mariners were up against the Minnesota Twins that night and after going hitless in the first two at-bats, Griffey, got in on the act and hit his eighth HR in eight games leveling this record with Don Mattingly and Dale Long. It was also his eighth home run in eight days which makes the feat even more impressive. The Seattle Mariners do not have rivalries in the traditional sense of the word but there are a few teams that they do not like and the sentiment is mutual. Those two sides are the Anaheim Angels and the New York Yankees. The Mariners-Angels Rivalry - It was in that famous 1995 season that the Seattle Mariners and the Angels rivalry developed for the first time. The Angels were known as the California Angels back then and the two teams had ended the season with identical records. A tie-breaker game was hence played to crown the AL West Champions. The Mariners beat the Angels 9-1 on October 2, 1995, to clinch their first ever Division title. The Mariners-Yankees Rivalry - The animosity between the Mariners and the Yankees also traces its roots back to the 1995 season. The two sides met each other in the ALDS and the Yankees raced to a 2-0 lead in the series by winning the first two clashes in New York. The Yankees were up 5-4 in Game 5 when Edgar Martinez hit The Double to send the Mariners’ fans into raptures and rubberstamp their first appearance in the ALCS. Without a doubt, the greatest ever player to play for the Seattle Mariners was Ken Griffey Jr. As a member of the Mariners roster, he hit 8 HRs in 8 games to become only the third player in MLB history to achieve the feat. Eleven of his thirteen All-Star picks also came with the Mariners. Ken won the AL MVP in 1997 and also won the Gold Glove Award on ten occasions. The Mariners have retired his number 24. Edgar Martinez is another Mariners stalwart who played for the franchise between 1987 and 2004. He was a seven time All-Star who won five Silver Slugger Awards and was a two time AL batting Champion with the Mariners. The Mariners have retired Martinez’ number 11 as well. The Japanese sensation, Ichiro Suzuki joined the Mariners in 2001 and left the franchise in 2012. During that time, he won ten All-Star selections, won ten Gold Glove Awards and three Silver Slugger Awards. He was also the AL MVP in 2001. The Mariners play their home games at the Safeco Field and it is one of the most famous ballparks around today. Fans who purchase Seattle Mariner tickets bring the trademark Seattle noise to Safeco Field. Situated in downtown Seattle, Safeco field is conveniently placed next to CenturyLink Field and allows fans to enjoy all the amenities of downtown Seattle. Safeco Field features its own Art Walk that allows fans to take in public art displays while enjoying a ballgame. The Mariners will be hoping that their fans turn up to root for them where ever they play. If you want to see the three time AL West Division Champions in action, then grab your Seattle Mariners tickets from here. Our process for purchasing cheap Seattle Mariners tickets is simple and fast. There are so many online ticketing sites, that it can be hard for customers to find the right place to buy Seattle Mariners tickets at the cheapest price. At ScoreBig we think of our customers first and foremost. We offer daily deals for Seattle Mariners events, so our customers can get the best seats for the best prices. ScoreBig will always go above and beyond to offer the cheapest Seattle Mariners tickets on the market. The Seattle Mariners schedule above, displays all available events for 2019 and 2020. Once you find the event that you would like to go to, click the red “Get Tickets” button. It is located on the right-hand side of the event listing, it will take you to an Seattle Mariners event ticket page. ScoreBig's event ticket page will display all available Seattle Mariners tickets for that event. On the event ticket page to help with your search for the right Seattle Mariners tickets, use the filters at the top to select quantity, price range, and more. There is also an interactive seating chart so you can pick where you want to sit. When you are ready to buy a ticket, click on the listing, and you will be directed to ScoreBig's checkout page. Upon completion of the information fields, your order will be processed and your Seattle Mariners tickets will be delivered via email, mail, or to your mobile device. What makes ScoreBig’s site stand out from the rest? We are constantly analyzing our competitors to improve our site, service, and prices. ScoreBig.com employees strive to offer the best process and experience to buy cheap Seattle Mariners tickets. Our goal is to get you the best seats to Seattle Mariners events. We offer daily discounts on our site and for special promotions check out our newsletter. If there are no Seattle Mariners events currently available, you can use our search feature at the top of the page to see a list of all popular events going on near you. No matter your price point, we have all the best deals and discounts on Seattle Mariners tickets. For more information on prices of Seattle Mariners tickets and the schedule for Seattle Mariners, check out our listings above. The last thing you want to find out is when the Seattle Mariners event you wanted to go to is sold-out. Don’t worry in many cases ScoreBig has affordable tickets to sold out events. We sell tickets from GA all the way to premium seating and parking. Skip the scalpers in the parking lot and get your tickets online from top Seattle Mariners ticket brokers. We get you in all events, buy your Seattle Mariners tickets here from a brand that many trust and rely on for all their ticketing needs. ScoreBig offers a 100% money-back guarantee. If you have been in search of cheap tickets for Seattle Mariners, ScoreBig by far is the best option. That’s why ScoreBig has more loyal customers than any other ticketing site. 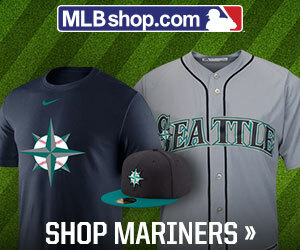 Shop at ScoreBig for safe and secure Seattle Mariners event tickets.